Owly Baby: 30% off SALE! Celebrate Thanksgiving with Owly Baby! and get 30% off your entire purchase! 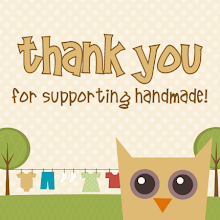 Valid for all Owly Baby purchases through Etsy 11/26-29. Sale begins Black Friday Morning and ends midnight on Cyber Monday. This will be our only sale this holiday season - stock up!